The solution enables a new generation of Get-E-Menu in a single information space to fully manage the financial, material and human resources of an enterprise of restaurant industry, to reduce costs and increase profits, and effectively address the abuses of staff. Powerful tools of the system are in demand on the market, allowing the company to maintain high growth, well above the annual performance of the Restaurant Market. A distinctive feature of Get-E-Menu RMS is a unique integration of all business processes in real time. From waiter of the box and the terminal to kitchen, the financial analysis and reporting to shareholders to control all the process, from planning and pre-booking tables is all wrapped in to one system. Get-E-Menu provides the owner or manager a complete picture of the restaurant business data and statistics, allowing you to receive advance information about important issues, situations and events. Additional features (delivered ready meals, bonus-deposit system, automatic entry of invoices, and the management of infrastructure facilities) are implemented in Special Solution ofGet-E-Menu. 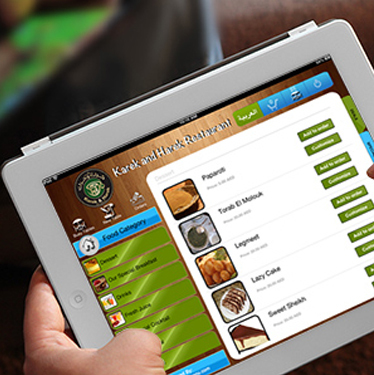 Establishments using automated solutions Get-E-Menu can be networked with solutions Get-E-Menu Chain. Get information about how to use these solutions and calculate the cost of your project on the basis of a typical example, you can here. © 2017 All rights reserved. Knowledge Engineers.